POMONA, Calif. -- A man was found dead after being shot multiple times Monday morning at an apartment complex in Pomona, authorities said. Officers were dispatched at about 5:30 a.m. after a caller reported a "man down" in an alley in the 2400 block of Angela Street, the Pomona Police Department said in a statement. 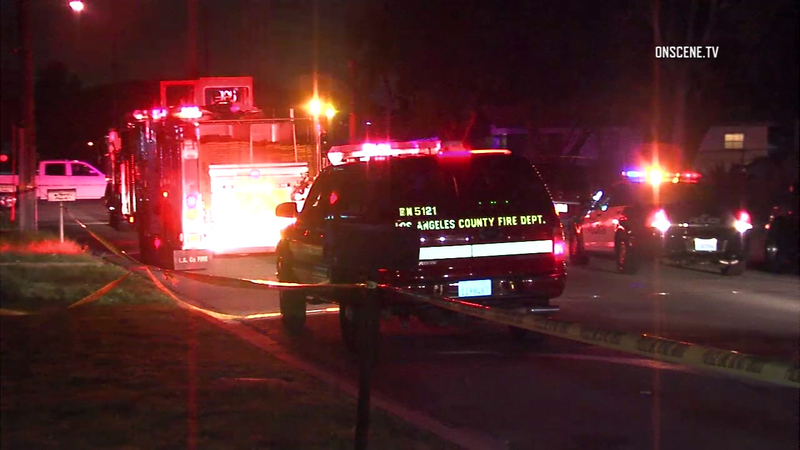 After the officers located the unidentified man, Los Angeles County Fire Department paramedics responded to the scene and pronounced him dead. Aerial footage from AIR7 HD appeared to show a body covered by a yellow tarp in the entrance of a single-vehicle garage. Pomona police detectives said the incident was possibly gang-related. No description of the shooter or shooters was available.